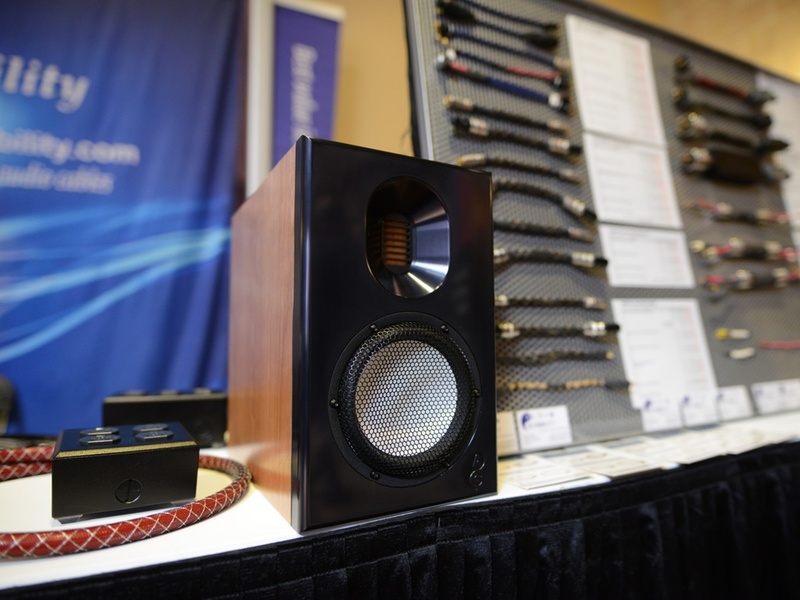 We heard the original Mundorf MA30 SG speaker kit at the Toronto Audio show (TAVES) in October 2015. 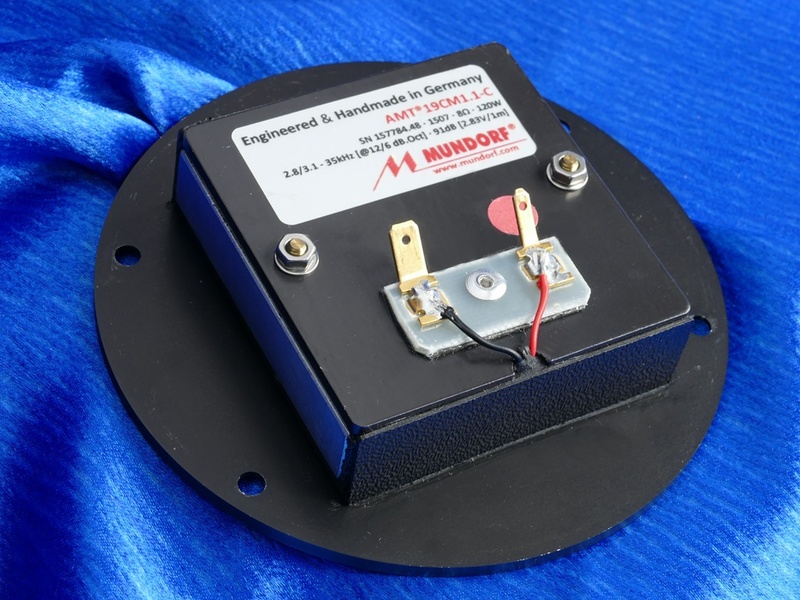 Designed to celebrate 30 years of collaboration between German companies Mundorf and Accuton, the MA30 SG speaker kit includes Accuton ceramic woofers, Mundorf air-motion tweeters, and Mundorf crossovers typically found in loudspeakers at ten times the price. 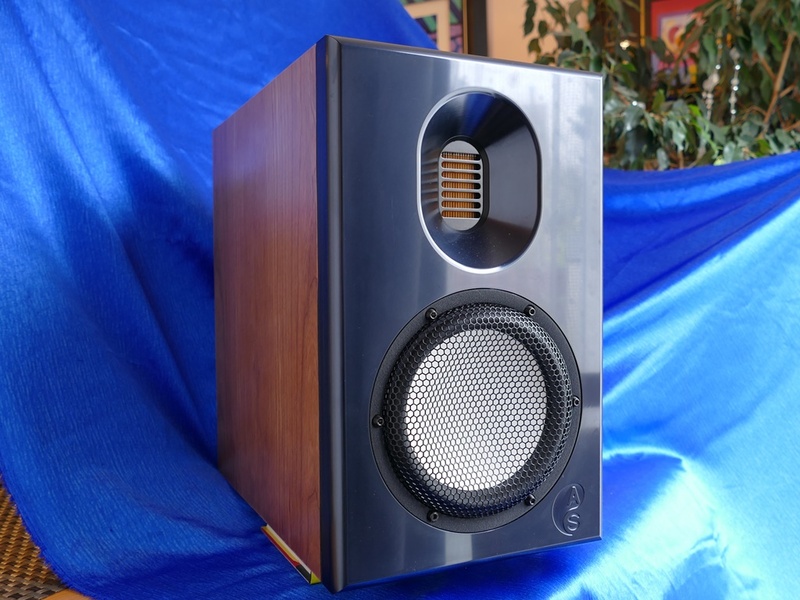 The MA30SG crossover provides an insanely great price/performance. 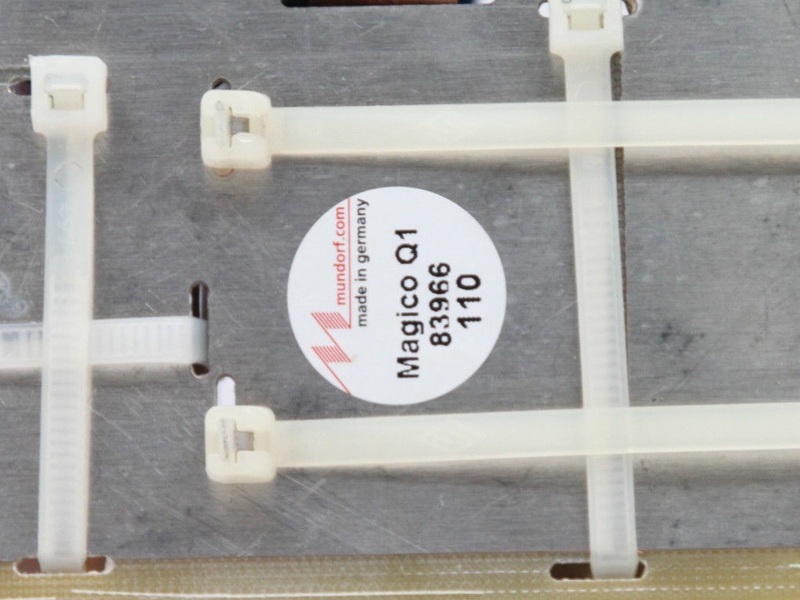 To put this into perspective we compared the MA30SG crossover to the Magico Q1 crossover (built at the Mundorf factory). 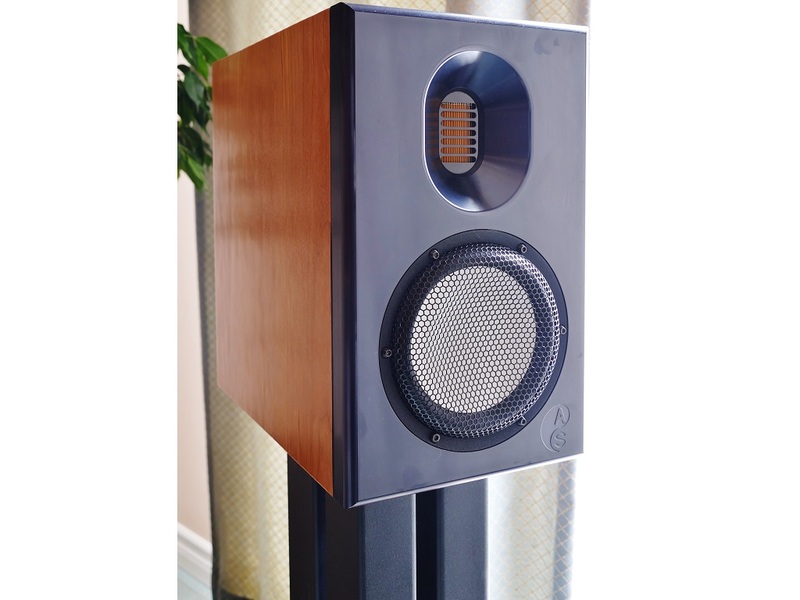 The Magico Q1 is a premium quality monitor loudspeaker that retails for $US26500.00. 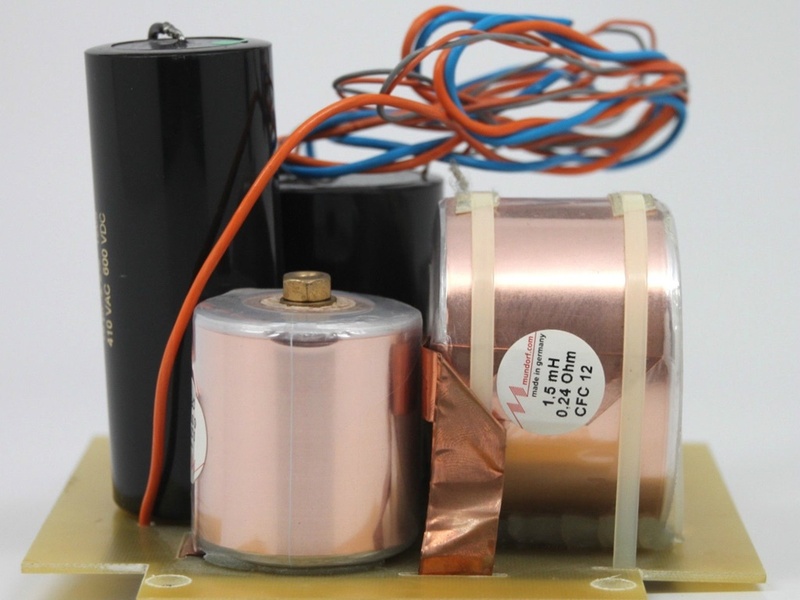 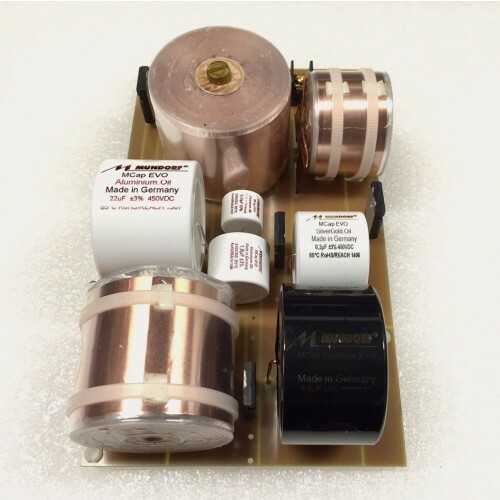 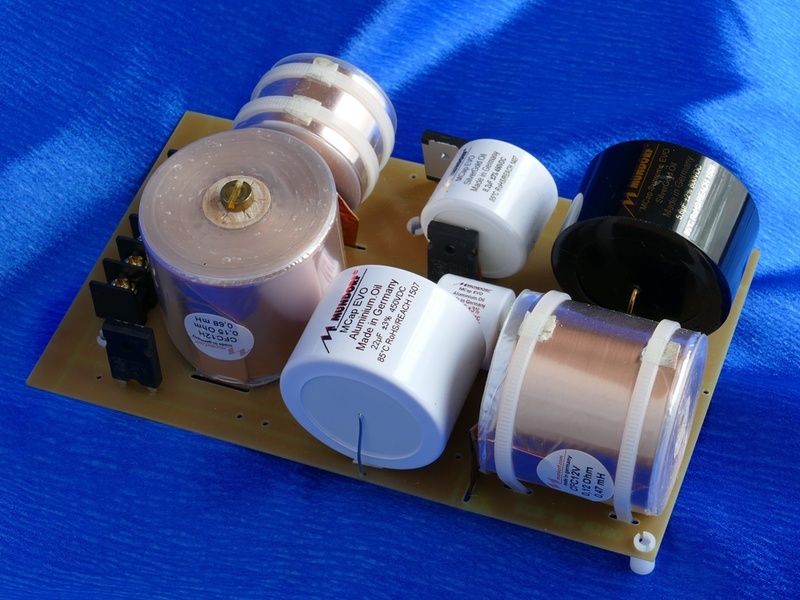 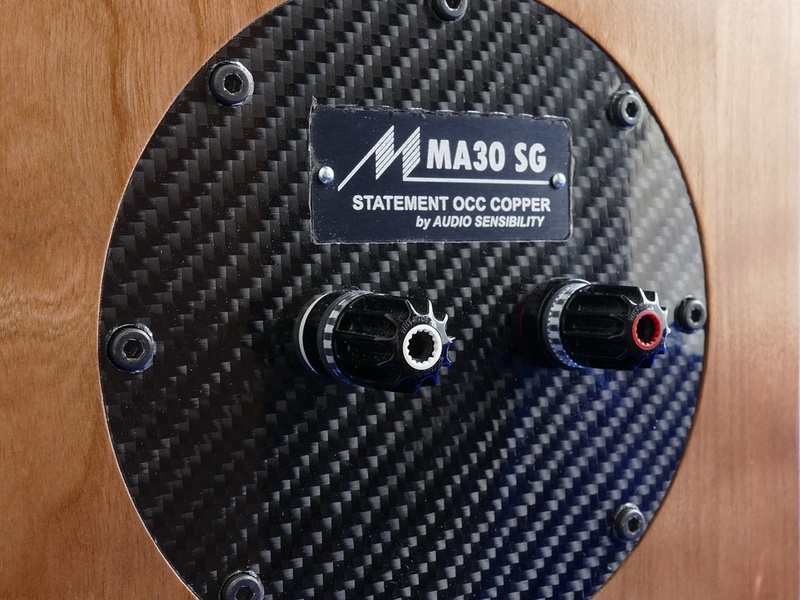 Our technician remarked that the Magico Q1 was using lower priced Mundorf Supreme capacitors compared to the MA30SG which includes Mundorf Supreme SilverGoldOil (SGO) and Mundorf EVO SGO capacitors. 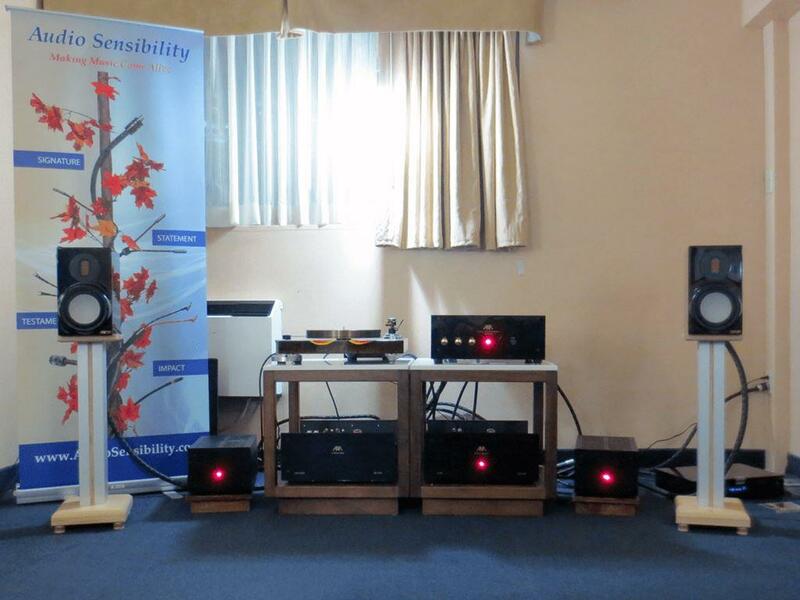 The MA30SG Inductors are of similar quality to the Q1 and their use is virtually unheard of in loudspeakers less than $US15000. 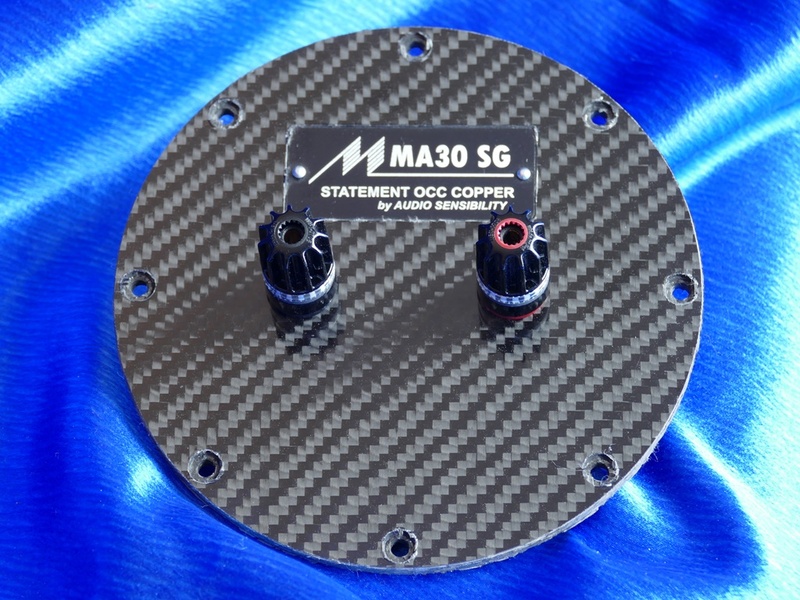 The MA30SG crossover board is huge and fills 75% of the floor space of the cabinet. 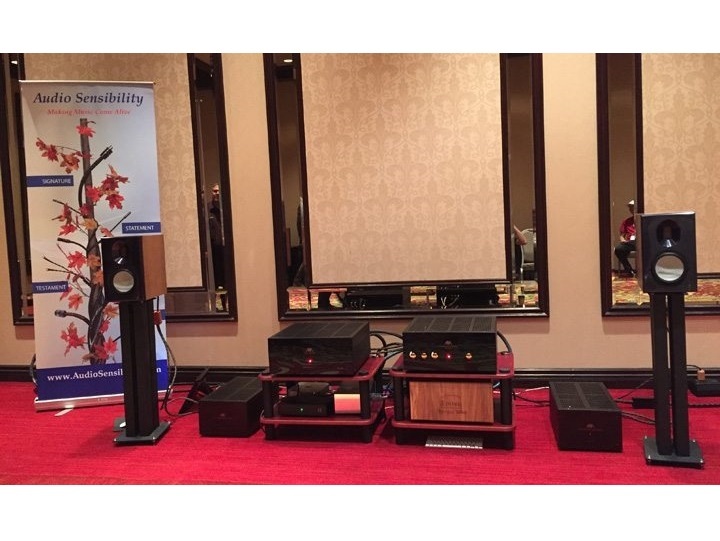 Although the original loudspeakers sounded great, we felt that their was plenty of untapped potential. 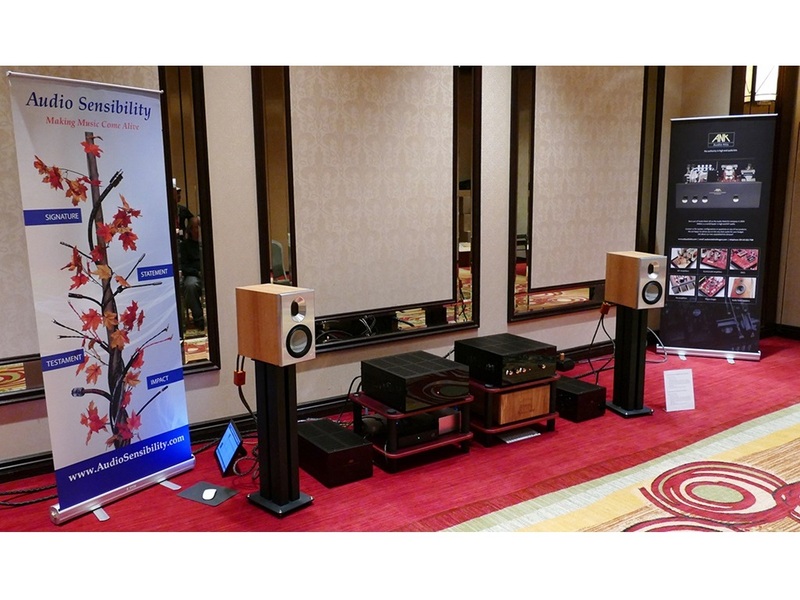 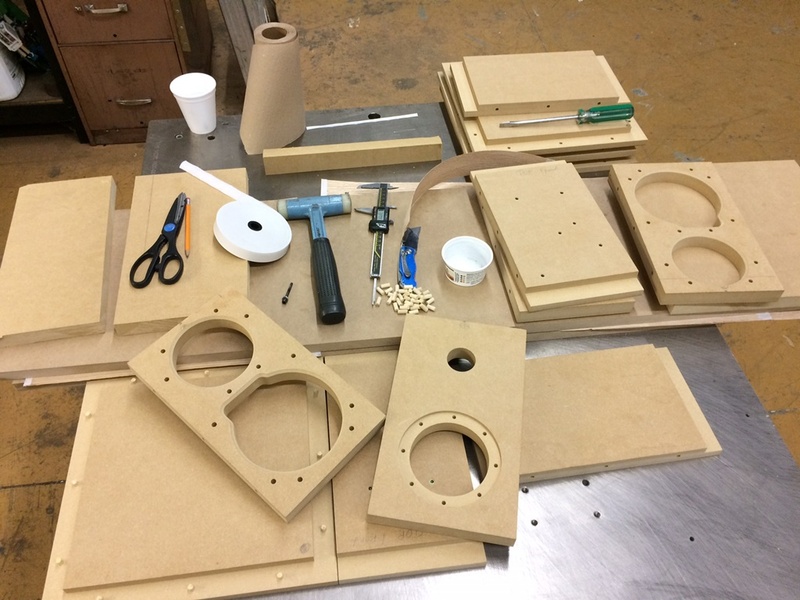 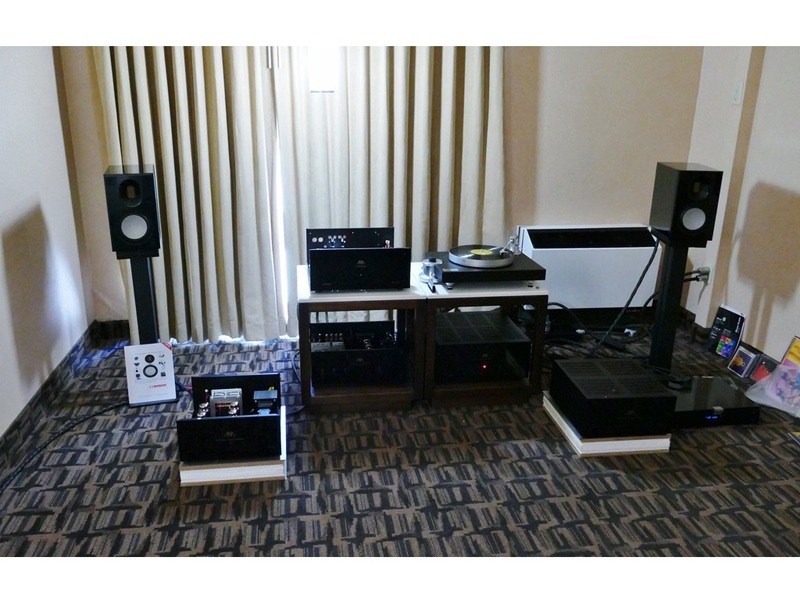 After the Toronto show we spent considerable time with the TAVES show loudspeakers and did extensive prototyping and testing. 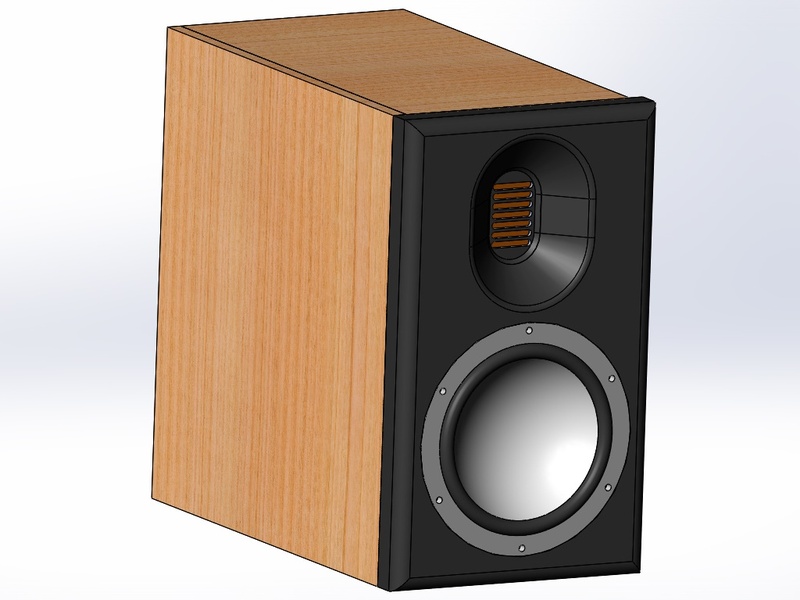 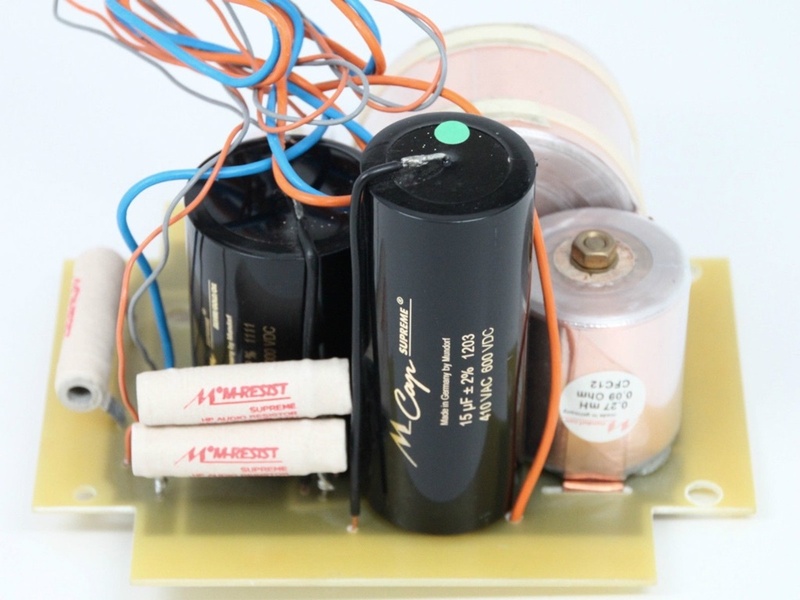 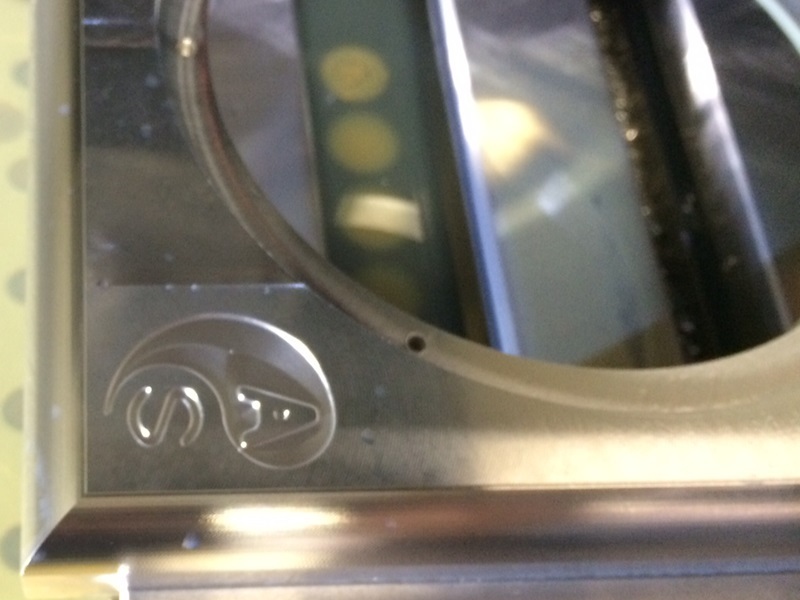 We discovered that the performance of MA30 SG loudspeaker was being hampered by its supporting cast of components. 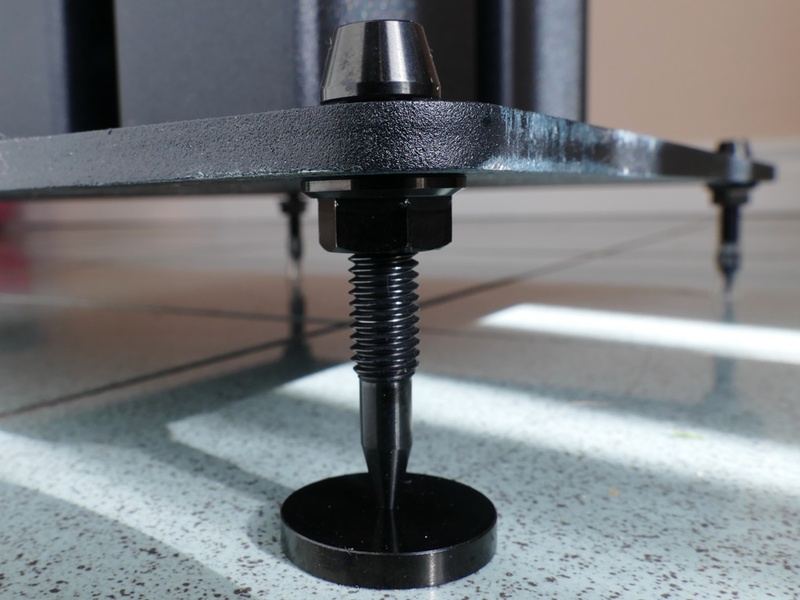 Inefficient plastic binding post mounting system. 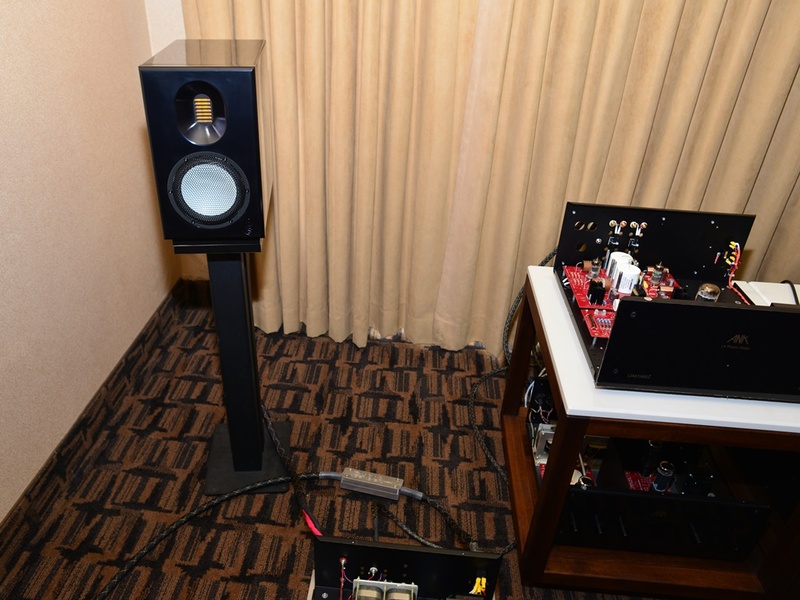 Audio Sensibility has successfully eliminated these bottlenecks to performance. 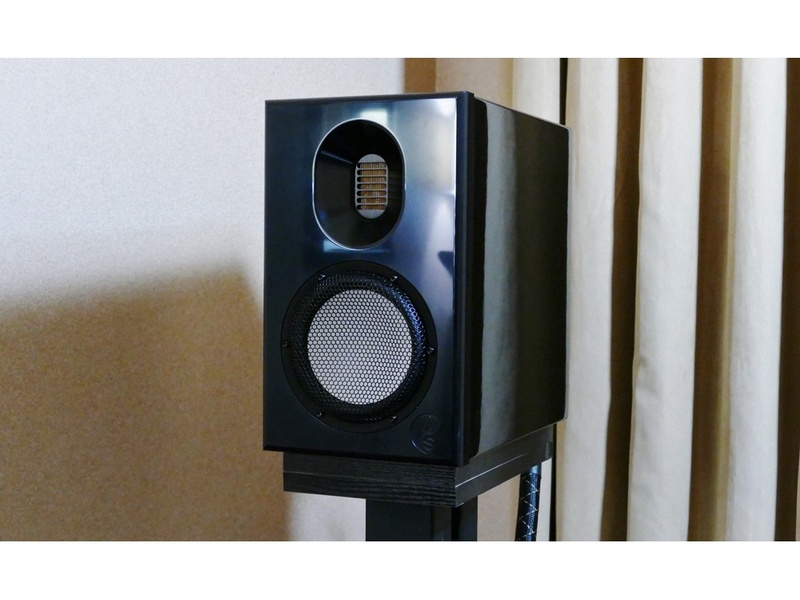 The result is a magical loudspeaker regardless of price. 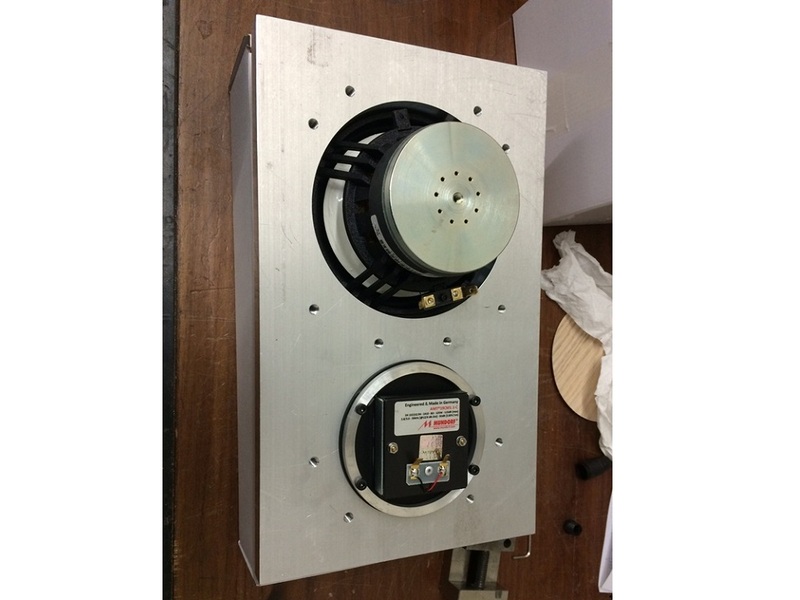 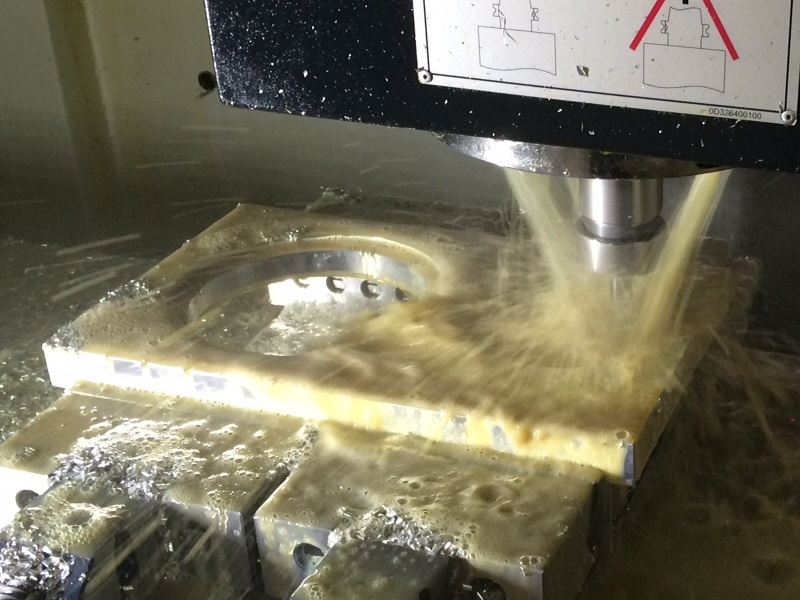 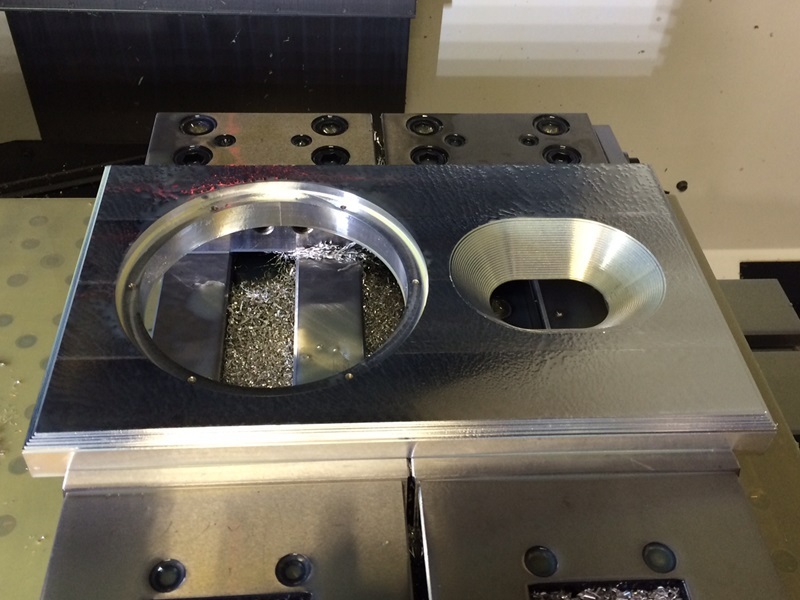 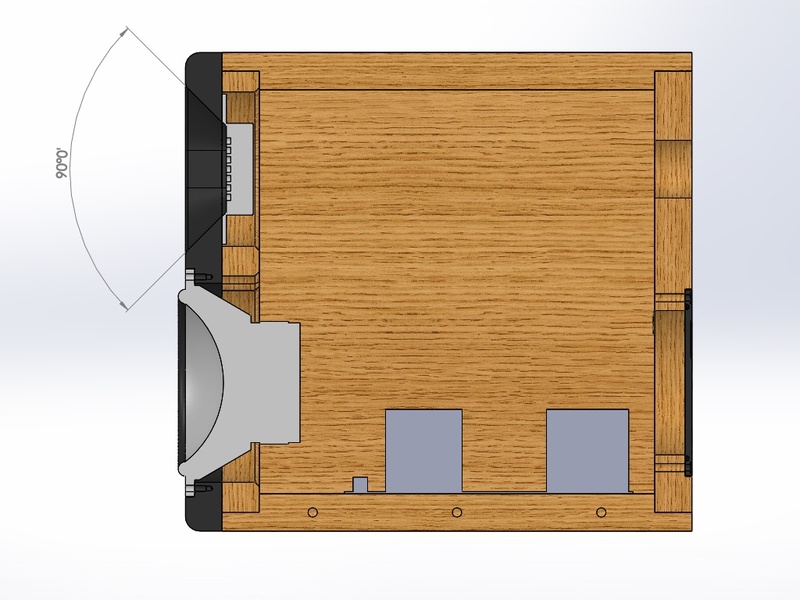 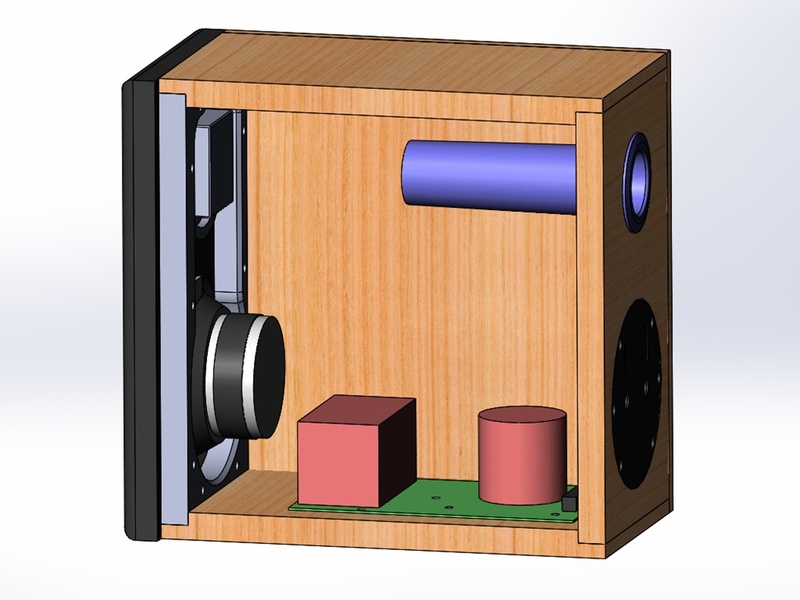 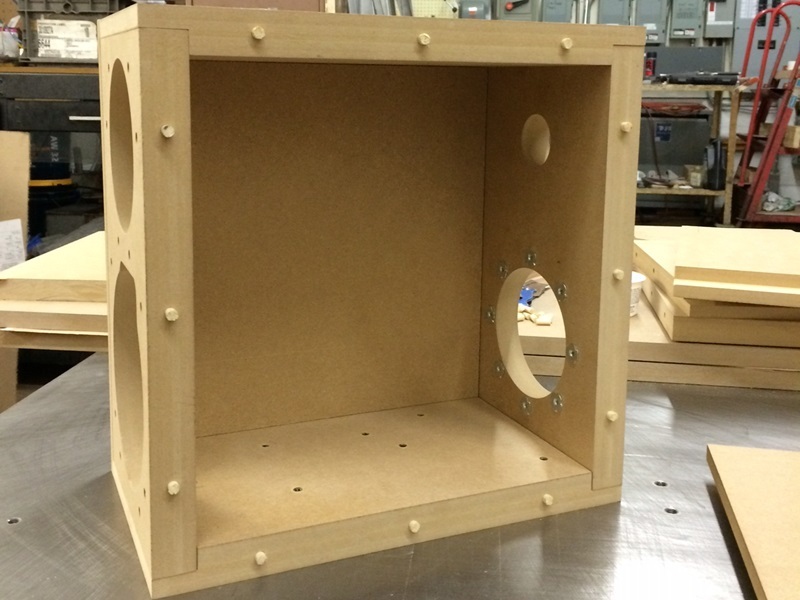 We have developed a 1” thick dowel-fastened cabinet for maximum rigidity, using the latest 3D CAD Design software. 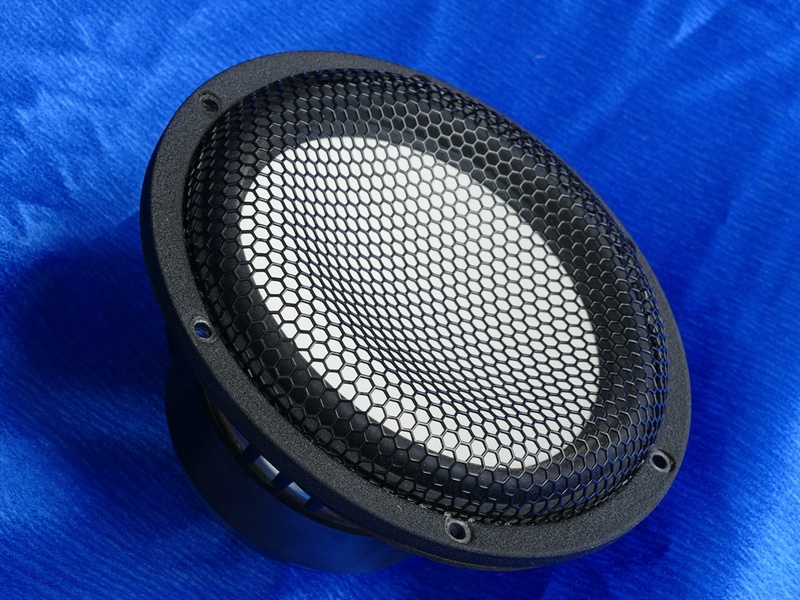 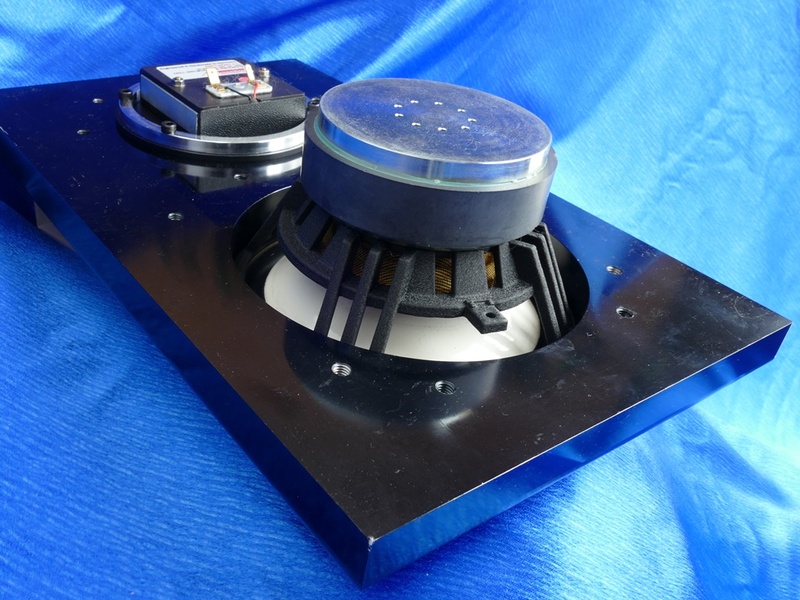 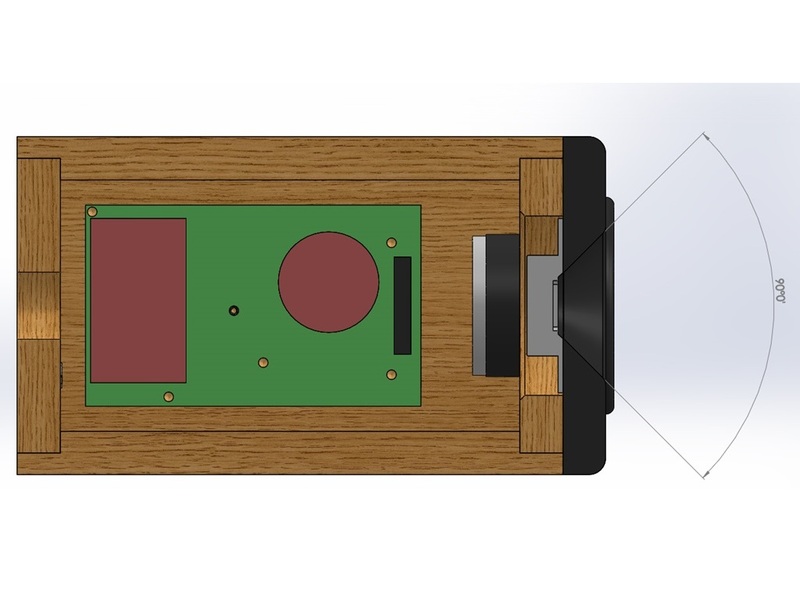 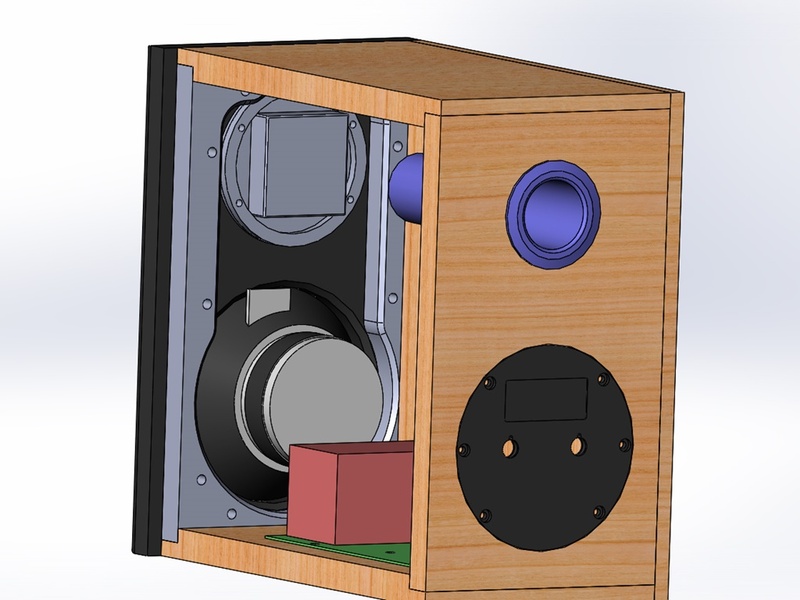 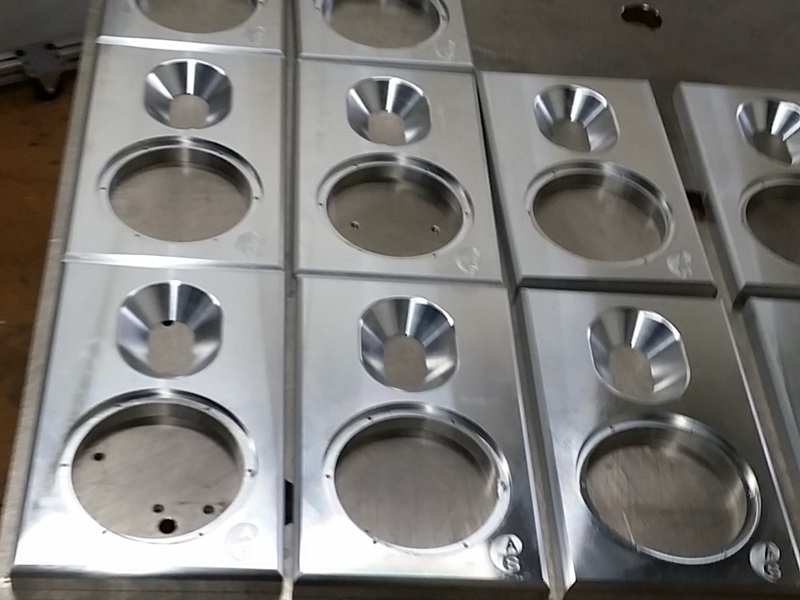 The drivers are mounted on a 1” thick mirror-anodized Aluminum speaker baffle. 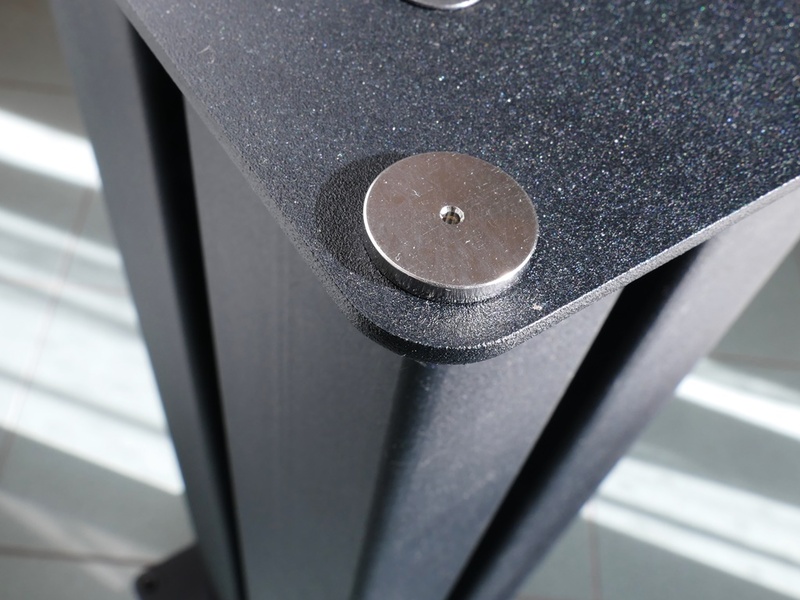 The combined rigidity of the two part cabinet ensures maximum transmission and transparency of sound. 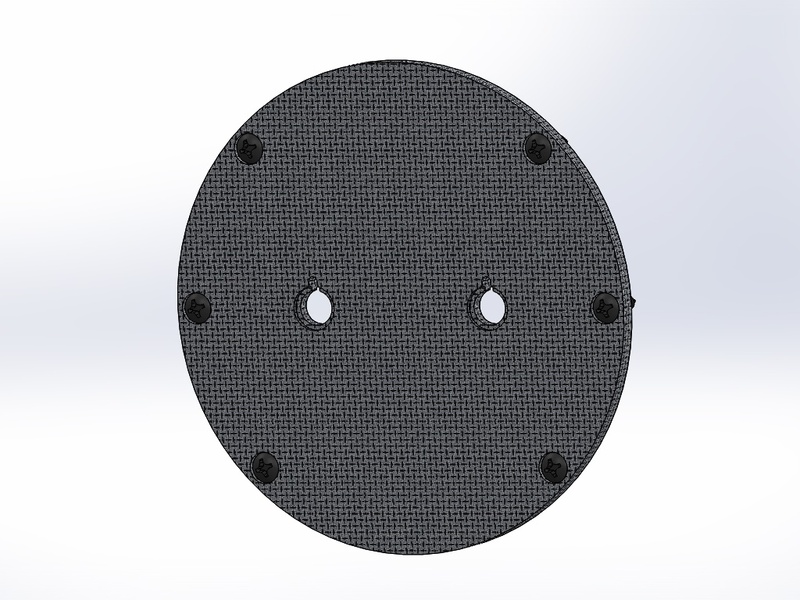 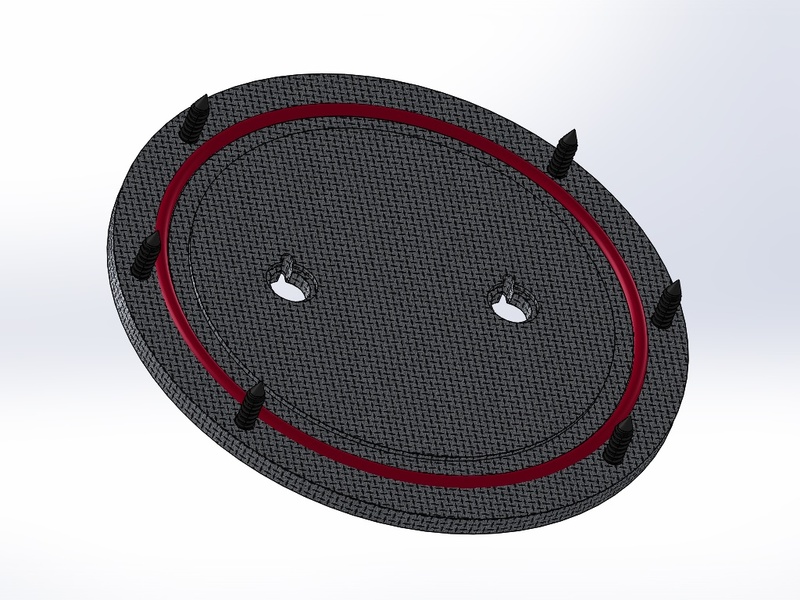 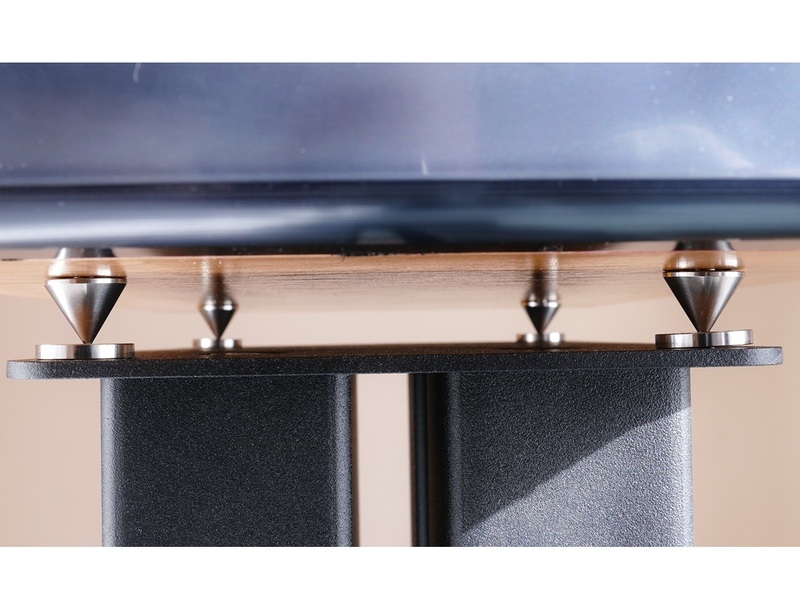 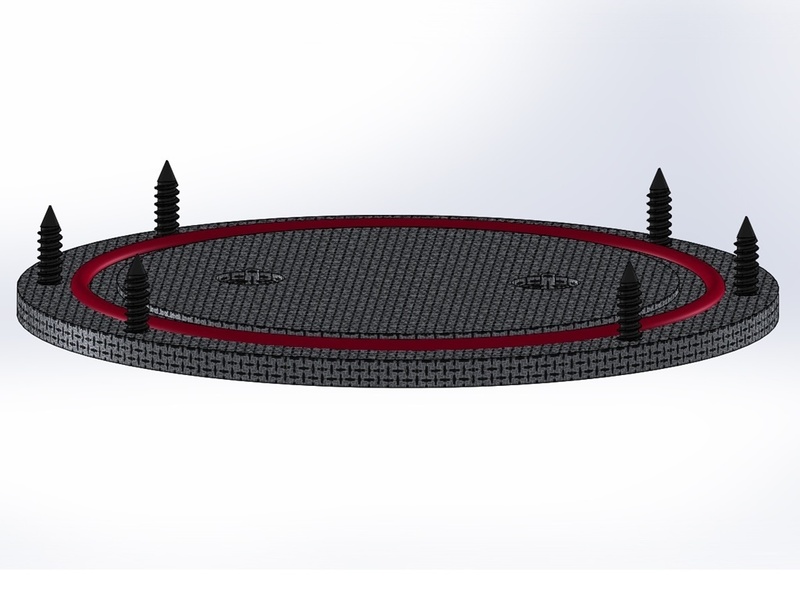 WBT nextGen Copper or Silver Binding Posts with Carbon Fiber Mounting Plates. 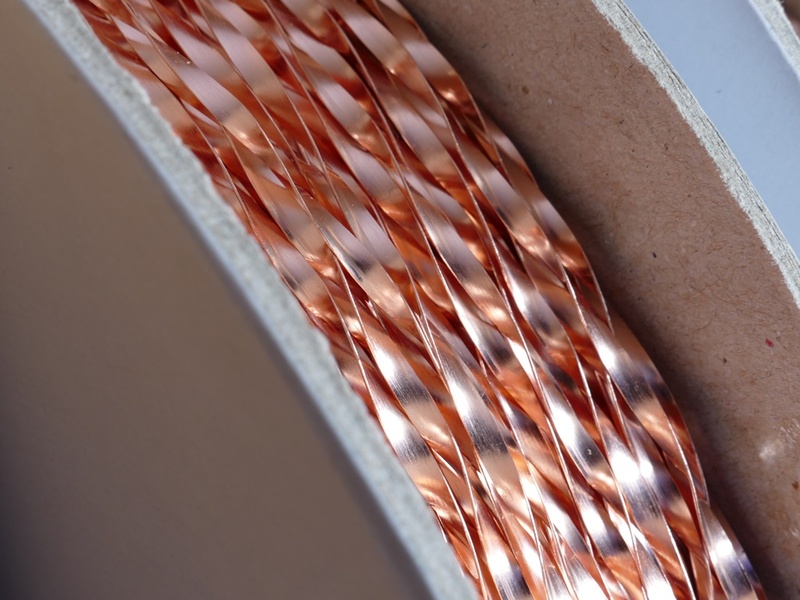 Signature OCC Copper Speaker Cable Inside! 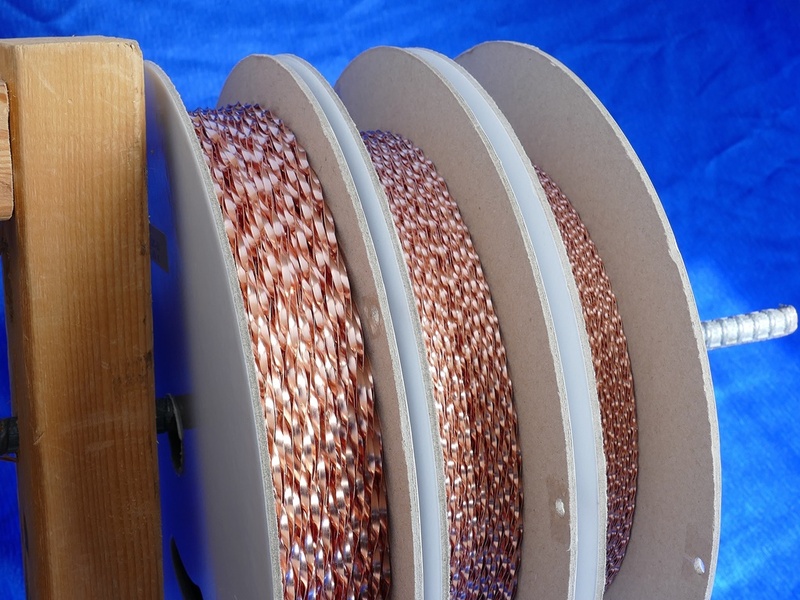 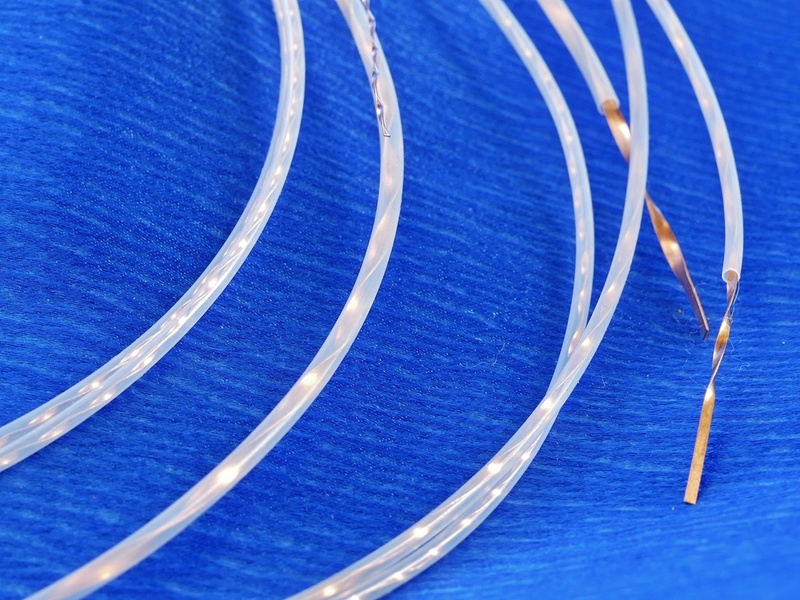 Audio Sensibility’s exclusive cryogenically-treated Teflon/Air dielectric rectangular OCC Copper is used for all internal wiring. 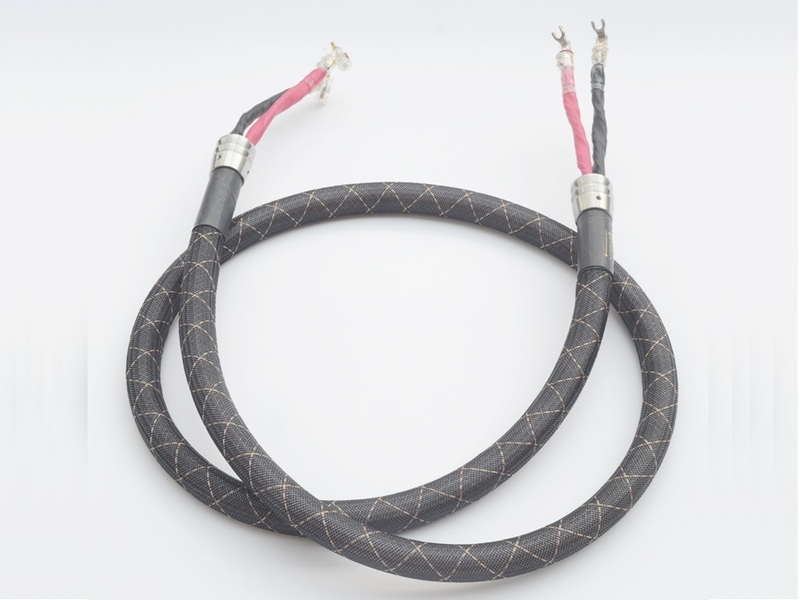 This is the same technology used in our Signature OCC Copper speaker cables. 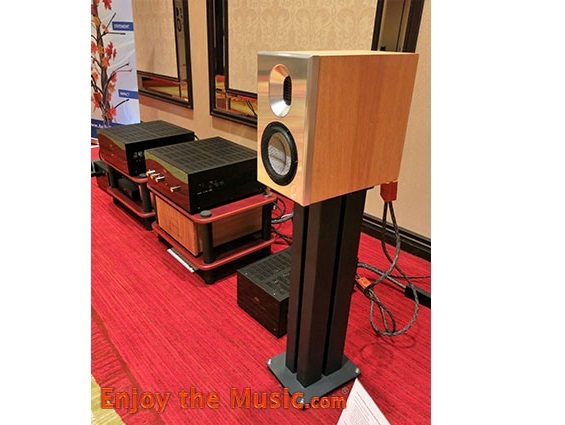 The following review in NOVO High End provides highest recommendations. 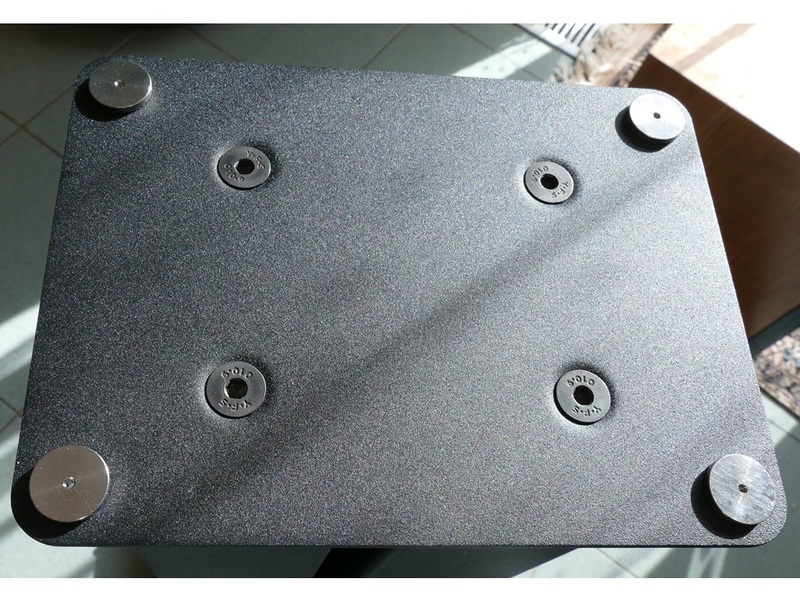 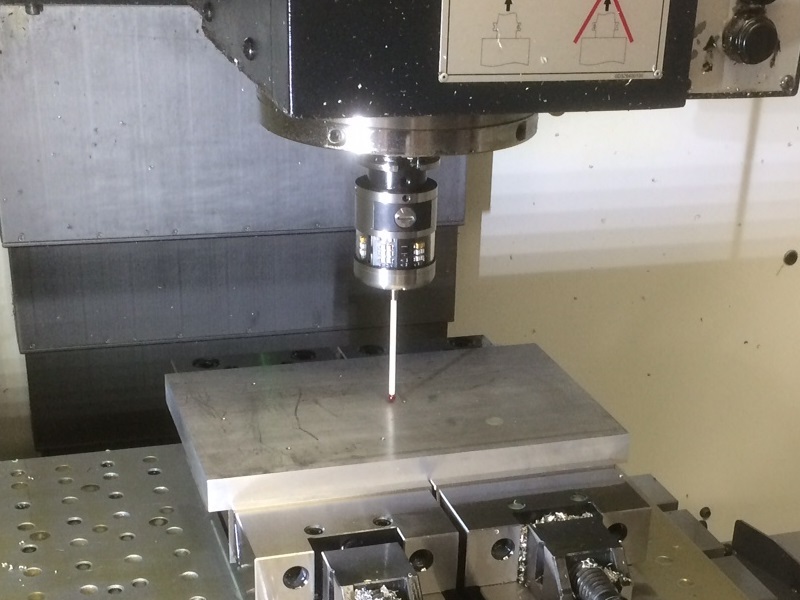 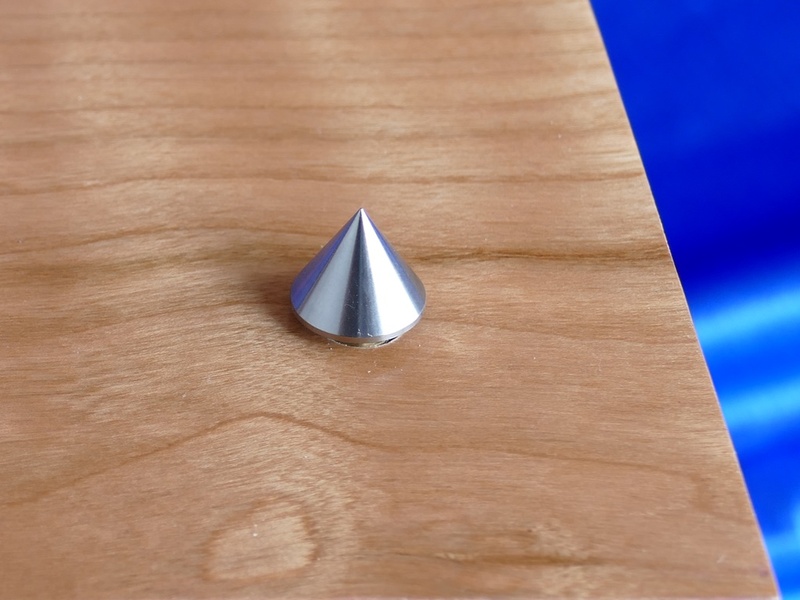 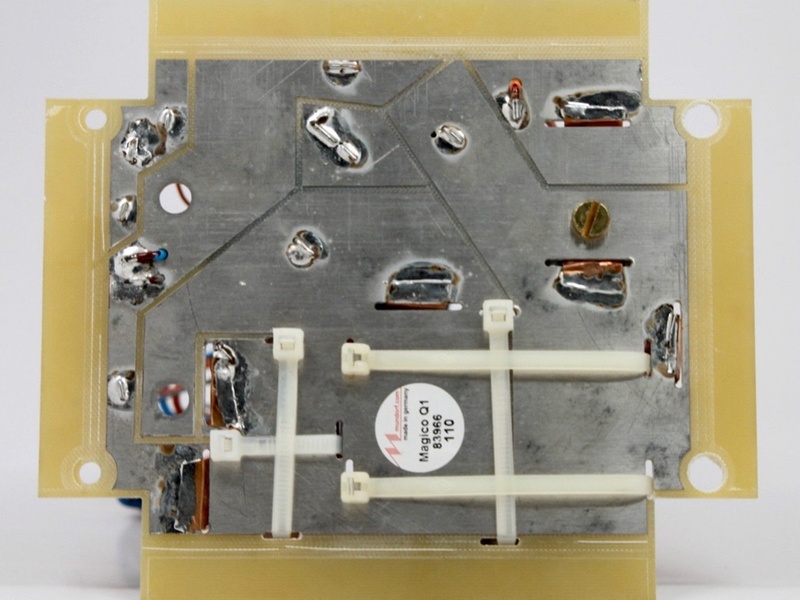 Damping materials are used to reduce the effects of panel resonance, diffraction from cabinet edges, and standing waves from internal reflection/reinforcement modes. 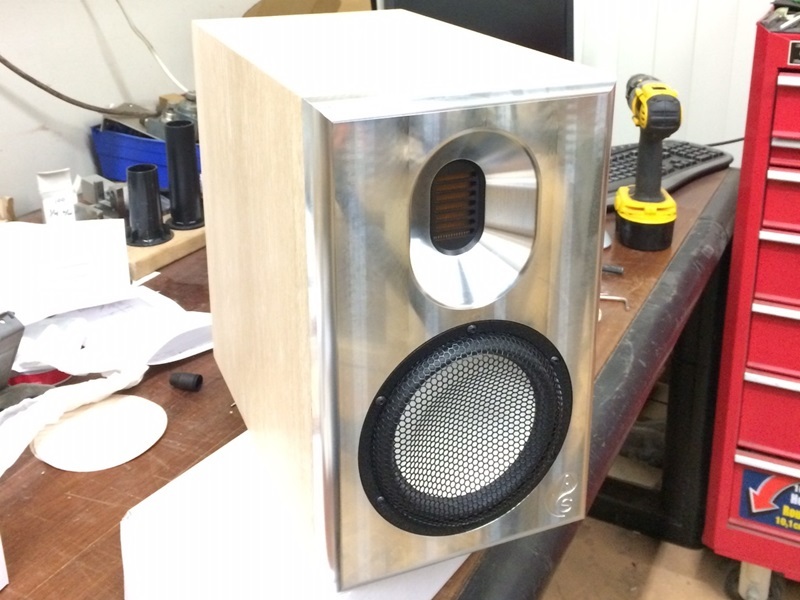 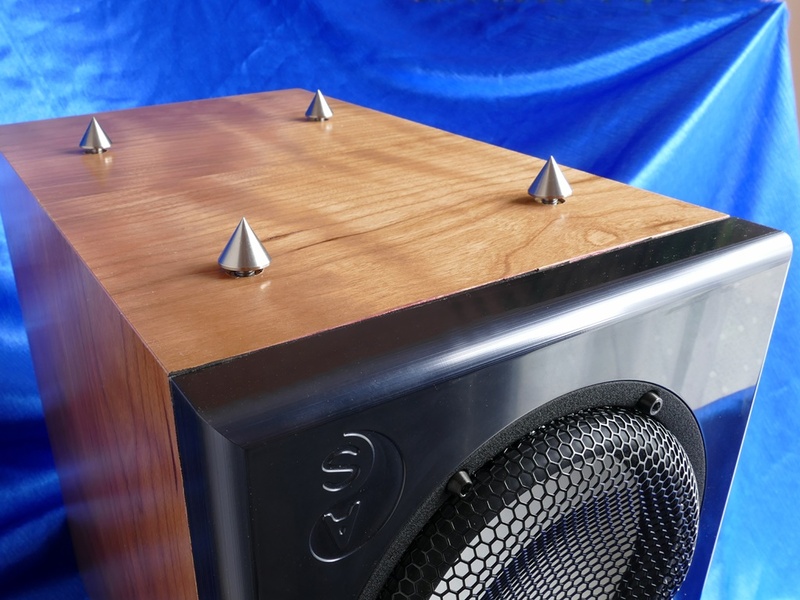 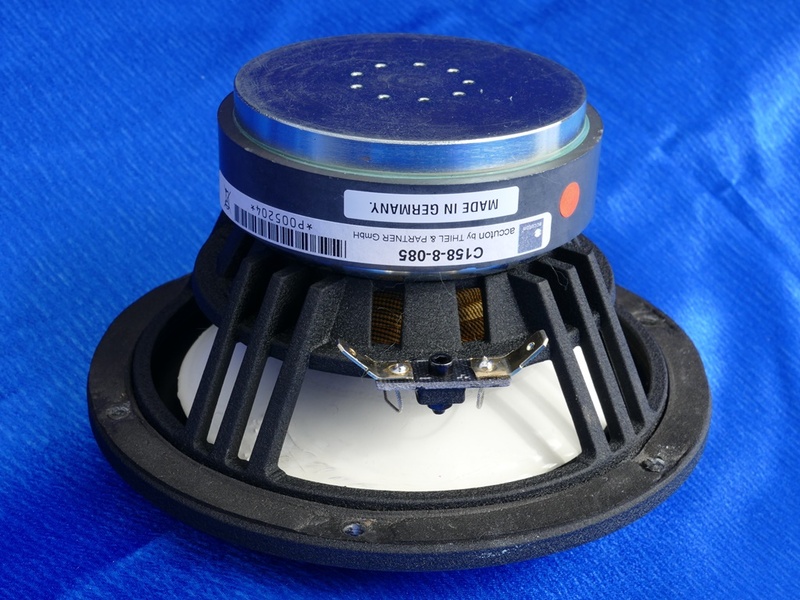 Most companies use inexpensive materials such as polyester batting for internal damping of loudspeakers. 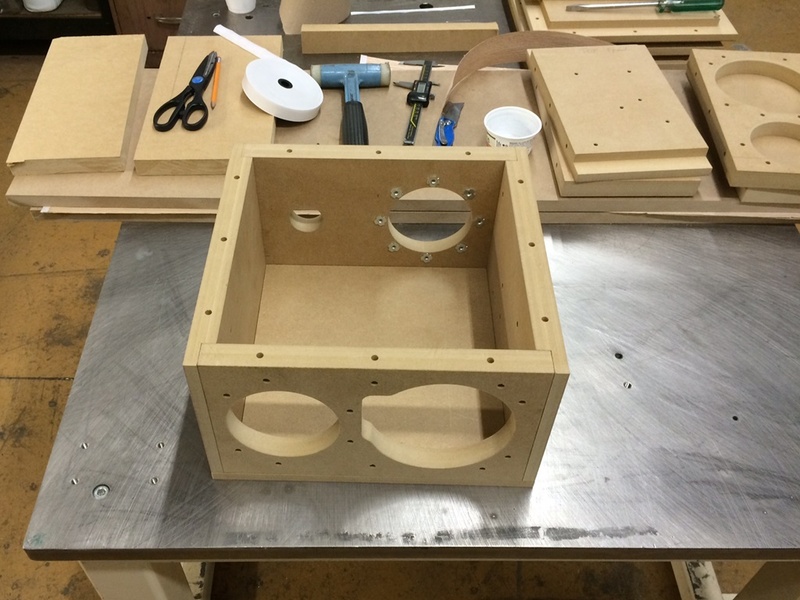 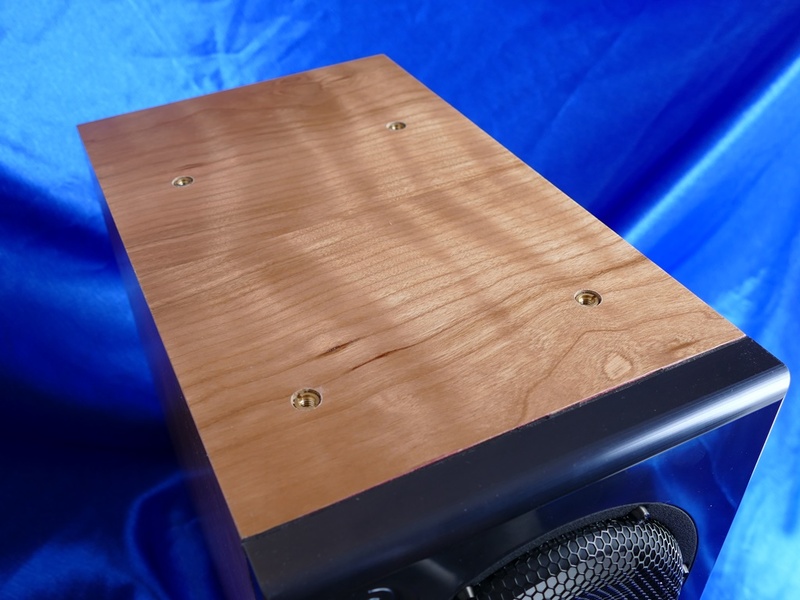 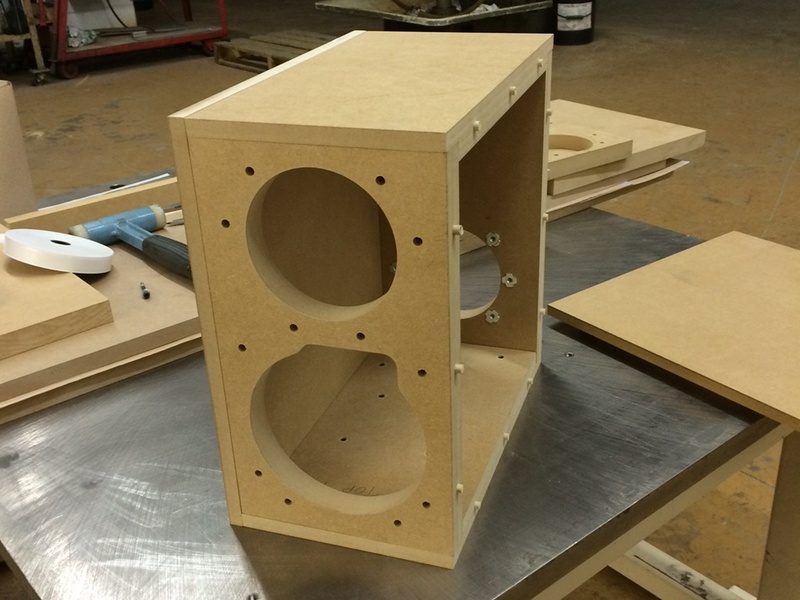 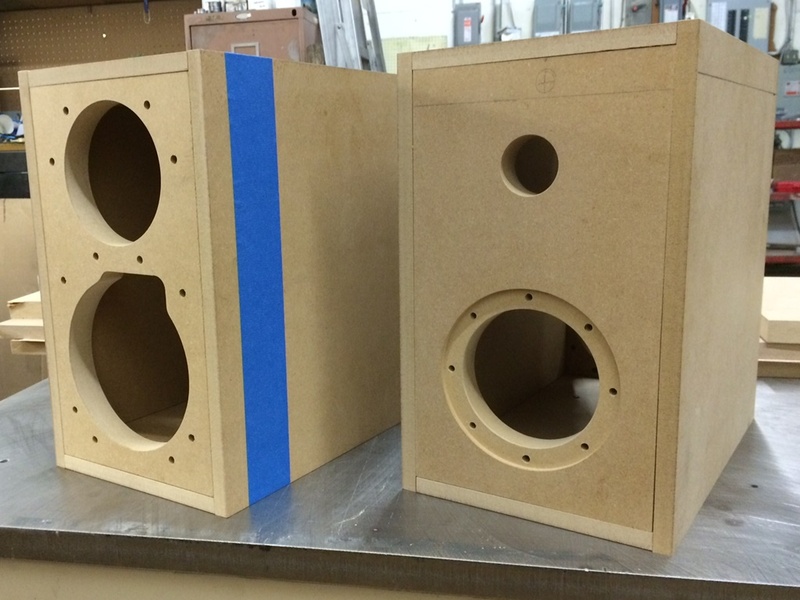 TWARON® Angel Hair is a speaker cabinet filler for acoustic damping which is produced exclusively for Mundorf. 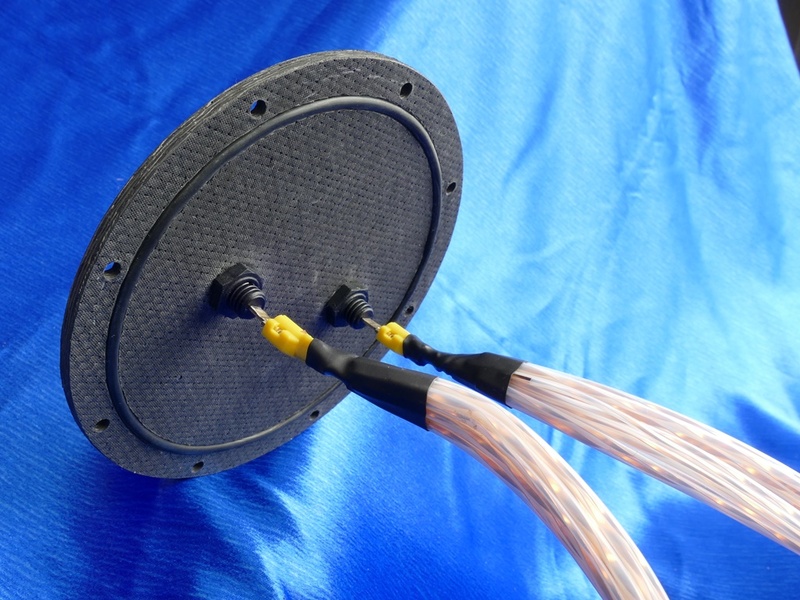 TWARON® Angel Hair absorbs acoustic energy in a more efficient manner than conventional materials used for damping purpose. 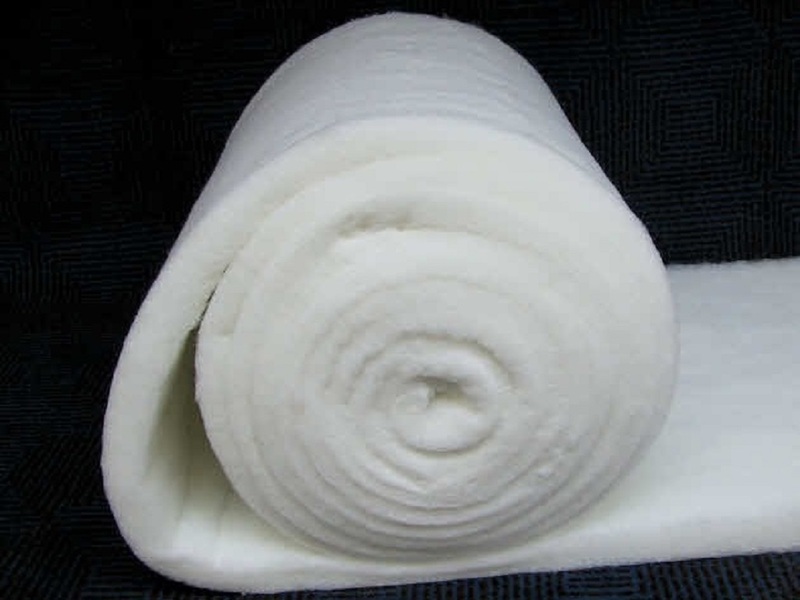 The material constantly tends to expand and therefore always fills the available space. 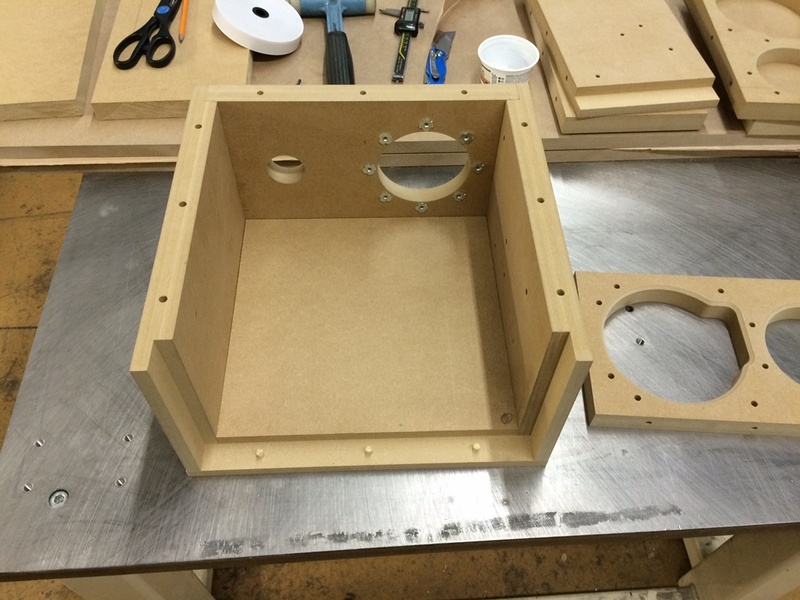 Therefore a sufficient cabinet filling only requires 3-5 grams per litre. 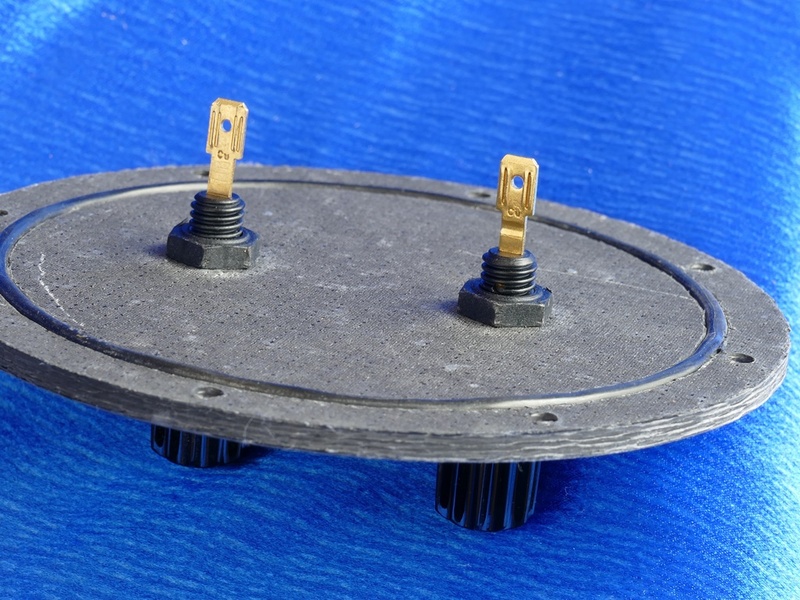 You just need 10 to 20% of the weight of other damping materials. 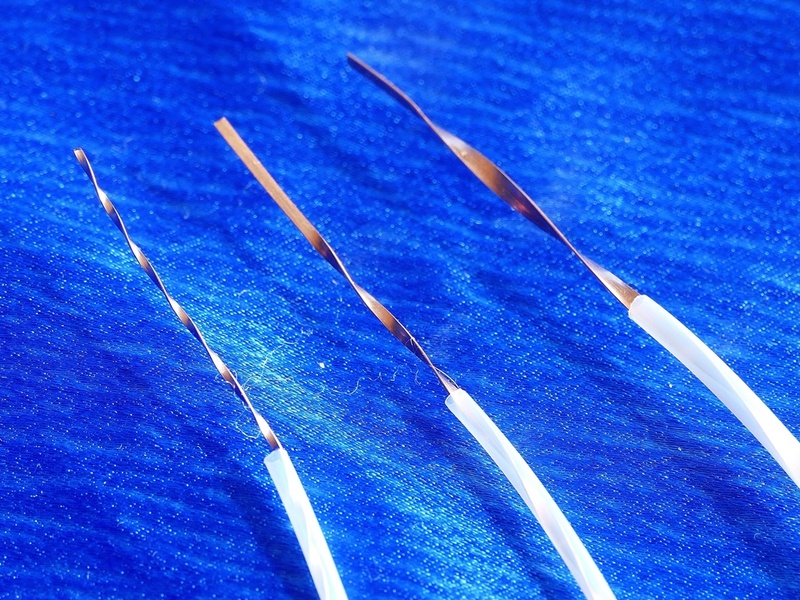 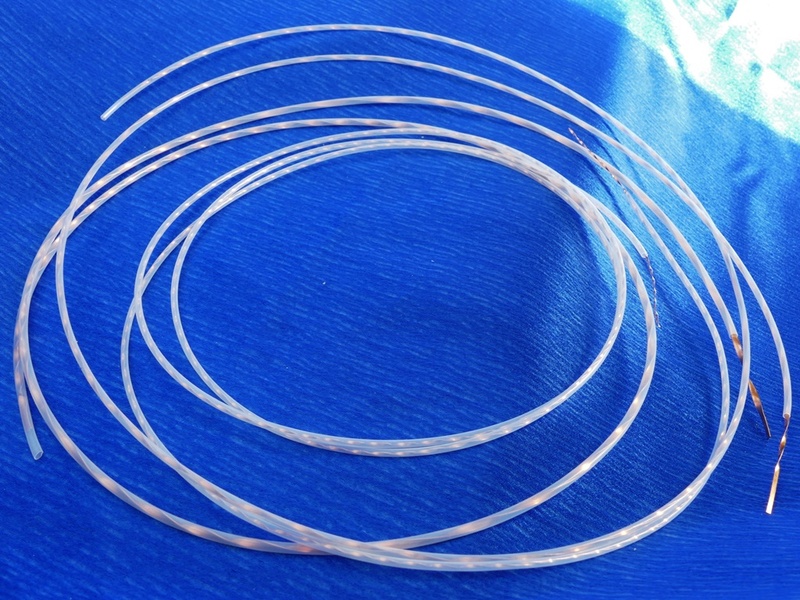 The low mass of TWARON® Angel Hair provides improvements in music performance compared to conventional damping materials. 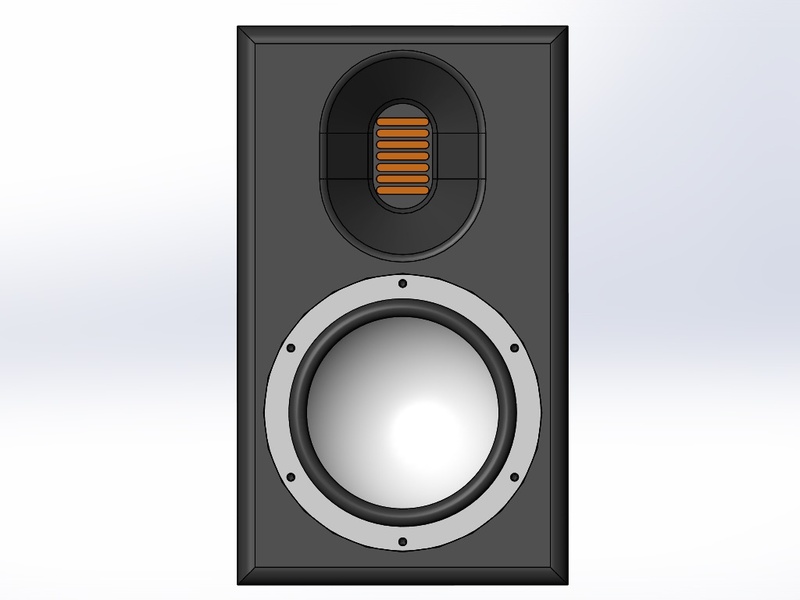 Increased fine dynamics in the midrange. 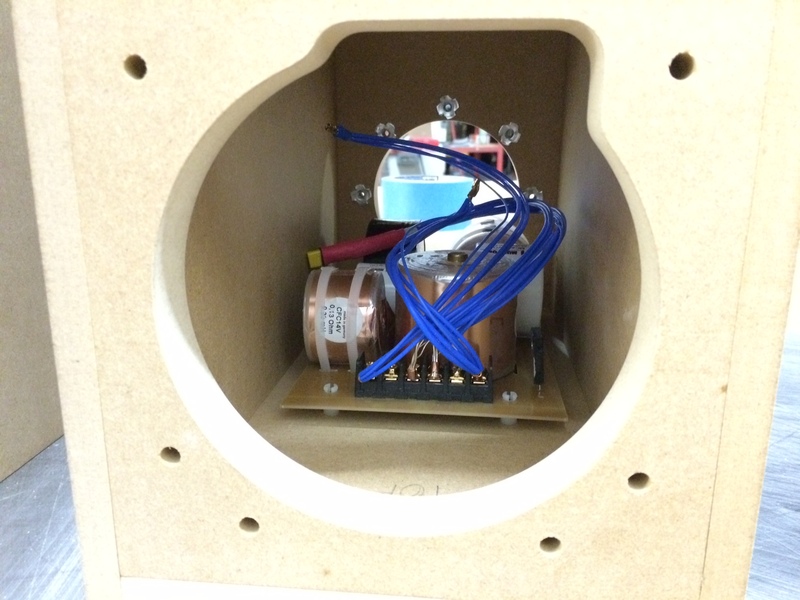 More “airy” reproduction of voices and instruments. 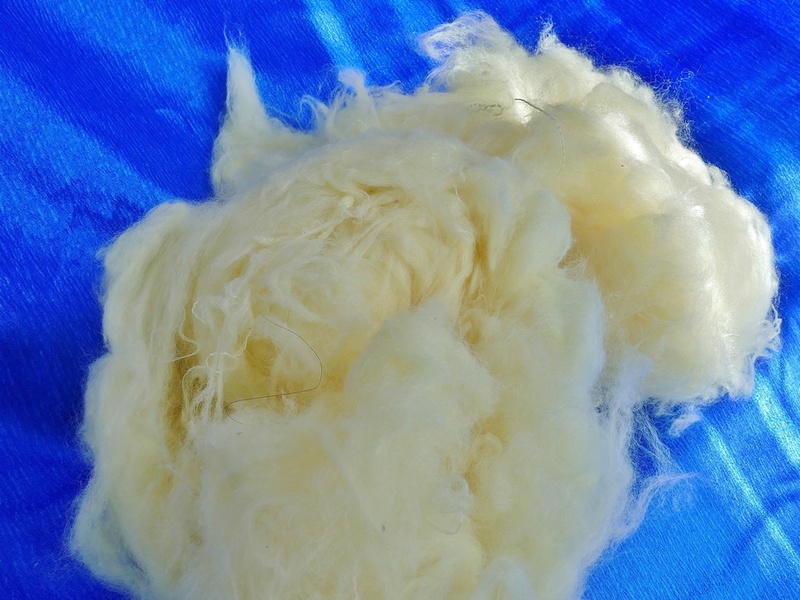 The cost of TWARON® Angel Hair is 100X the cost of polyester batting but the results are well worth the additional expense. 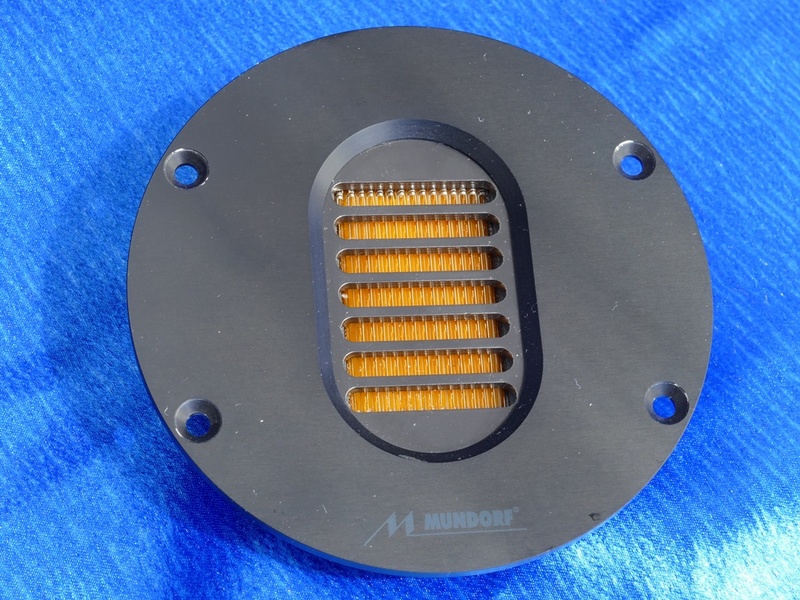 More technical information about can be found on the Mundorf website. 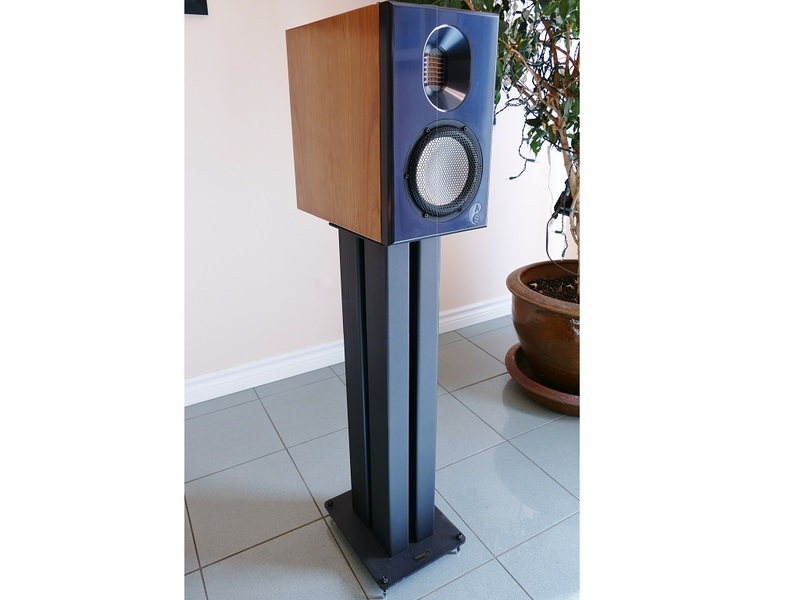 We turbocharge Target loudspeaker stands to provide a high performance support structure to complete the Audiosensibility MA30SG system. 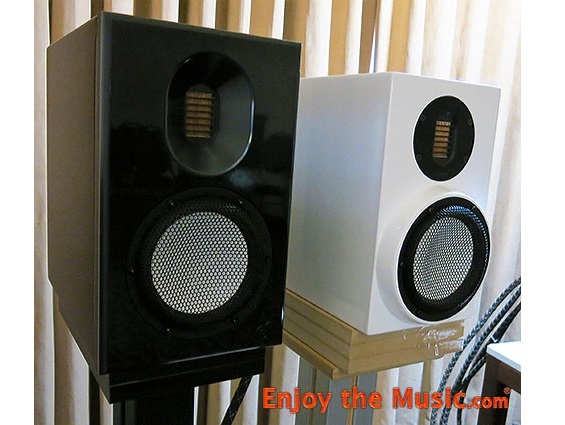 The Audio Sensibility MA30SG Loudspeakers have been well received by discerning audiophiles.